Founded in 1918, YMCA Camp Wapsie is the Camp of the Cedar Rapids and Iowa City areas. Wapsie’s coed summer camp programs serve boys and girls ages 6-18 in our summer resident and day camp program. We serve campers of all ages through our year-round retreats, youth and family programs. Camp Wapsie is the place to help young people build the character values of caring, honesty, respect and responsibility. With our deep tradition in camping, we strive to instill these underlying principles into each camper during their time at camp. Here at YMCA Camp Wapsie, we are: For Youth Development, For Healthy Living, and For Social Development. YMCA Camp Wapsie is an Accredited camp of the ACA, (American Camp Association). ACA camps participate in a voluntary and rigorous review of 300 unique national standards, designed to ensure a well-supervised, positive environment with controlled boundaries and organized programs. So kids can safely grow and thrive. Learn more by visiting the ACA website. Each year, the YMCA raises money for its Annual Support Campaign. This campaign is dedicated to providing scholarships of all kinds to members and program participants. You can designate your online contribution to go directly towards providing scholarships for Camp Wapsie campers. You can now create your own fundraising team page and recruit people for your team! Share your team’s fundraising page online using social media, email and more! Join an existing team, or create your own to raise money for camper scholarships. Utilize the natural camp environment to provide fun, safe, unique camping and retreat experiences that promote the YMCA core values of: Caring, Honesty, Respect and Responsibility. Provide positive influences and role models. Provide trained leadership, a variety of educational and recreational activities, and specialized programs to give participants the tools for success. Expose participants to the natural world. Camp grows stronger with people who care! Share a talent like marketing, plumbing, carpentry, organizing, statistics, etc. Share your time, help with leaf raking, painting, landscaping, and more. Help raise funds for scholarships and special projects. Serve on our Advisory Committee or a project committee. Serve as a Candy Sale host or Camp Nurse. Part of Wapsie’s rich history was lost in an office fire at camp in the 1980’s. We are reaching out to our community to see who might have contacts for camp alumni. We are also looking for pictures or artifacts that we can copy or include on our history display. If you have items or names to share please reach out to camp at camp@crmetroymca.org or call 319.435.2577. Camp Wapsie is an inclusive community. We work to ensure that everyone, regardless of ability, cultural background, faith, gender identity, income, origin, race, or sexual orientation has the opportunity to reach their fullest potential with dignity. Our diverse camper community reflects our larger community’s demographics. 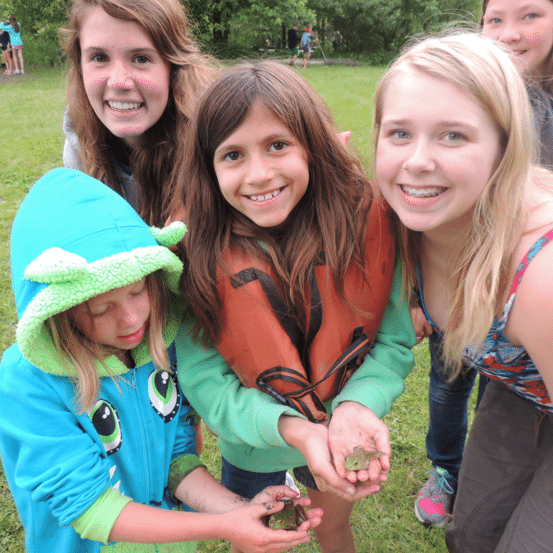 Campers and staff can look forward to interacting and living within this diverse and supportive environment. 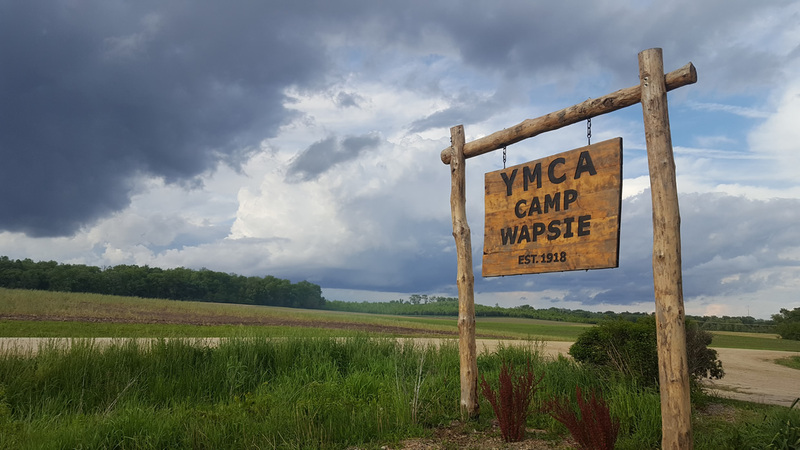 Situated on 172 acres of scenic woodlands and wetlands with an oxbow lake off the Wapsipinicon River in northern Linn County, Iowa, YMCA Camp Wapsie is owned and operated by the YMCA of the Cedar Rapids Metropolitan Area. The warm and relaxed atmosphere of Camp Wapsie with its natural beauty provides an ideal setting to experience the outdoors and enhance the self-esteem of all people.